“War is universal and eternal. 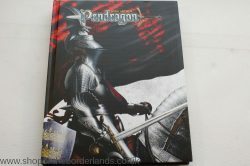 Knights stand between deadly enemies and the good people, offering their lives to protect king and land. Here are thousands of men gathered to kill your knight… or die trying. Here are the enemies for the never-ending scenario of battle. 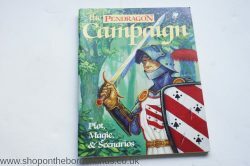 Included herein are all the Arthurian Armies, Period by Period, to use for every battle in the Great Pendragon Campaign! Also detailed are Round Table knights by Period, as well as exotic units (elephants!) 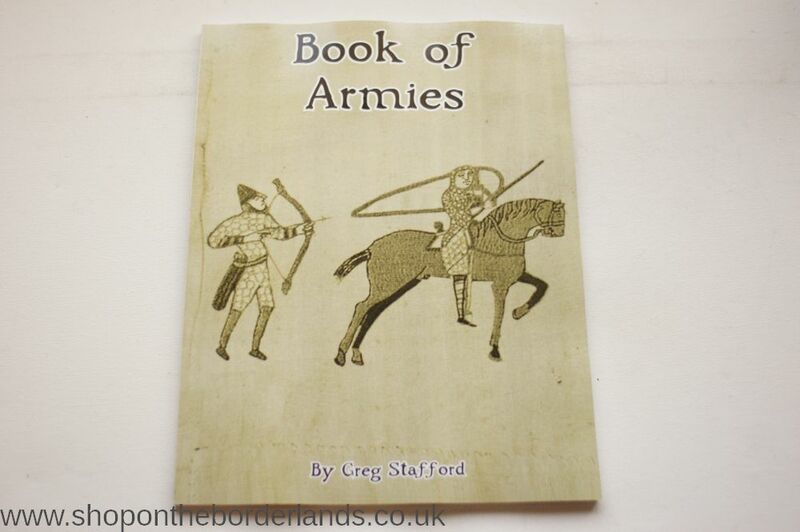 and armies (faeries!). Also presented are six British Armies – natives from savage Saxons to tribal Cymri to wily Picts or Irish, and including bandits and even peasant armies – as well as Twelve Continental Armies, each with its own quirky and particular armies: condottieri, ribauds, ulfsarkers, Pecheneg horse archers and much, much more.